As per media accounts, Bajaj, a cardiologist, was depressed over not being able to find a job ever since he was rendered unemployed more than a decade ago. The doctor has been identified as Sixty-year-old cardiologist Dr. Vipin Bajaj. He was found dead in a pool of blood in a narrow lane adjacent to his building. 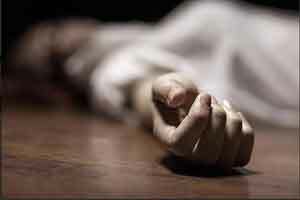 Initially, the family suspected foul play in the matter, however, preliminary investigations and forensic examination of his room revealed that a knife with blood stains which along with a dupatta wrapped around his neck, which led them to conclude it was a suicide. According to the police, he had tried to slit his throat and hang himself from a ceiling fan before jumping. Police claimed to Indian Express that Bajaj, a cardiologist who was earlier associated with a government hospital, was depressed over not being able to find a job ever since he was rendered unemployed more than a decade ago. Police are looking for CCTV footage to ascertain the sequence of events. Let the Post-Mortem Report come out with Photographs showing Injuries, Ligature mark and Ligature material with knot on it. Surprising that a cardiologist after having worked in GB Pant Hospital was unemployed for the last 10 yrs. and ended life as suicide. Where was his wife all night to look for him only in the morning to find his dead body. Was there no sound when he injured himself with knife? As claimed that he was a brilliant cardiologist. These are contradictory statements. Cardiologists as physicians are in great demand. Something wrong somewhere. That is how students miss the best teachers.